Has Lorne Michaels seen the error of his ways? It certainly looks that way. It was announced yesterday that Saturday Night Live, in addition to adding Sasheer Zamata to its cast, has added two black females to its writing staff. If you read my prior SNL post, you’d know that I went in on SNL and Michaels’ crew for feigning diversity in adding a black female to the cast. Specifically, I noted that Zamata’s casting wouldn’t have much of an effect because the writers’ room was remaining the same. It’d be just another situation where white people do their best to write for actors and about situations that they do not understand. But it looks like Michaels and company might have me eating my words. So just who are these ladies charged with shaking up the funny at SNL? 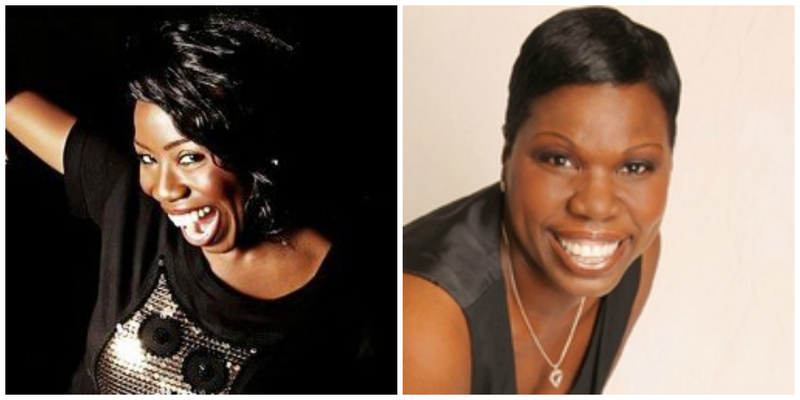 First up is Leslie Jones. You might recognize her as a stand-up comedienne who has been in the game for what seems like forever. Personally, I remember laughing at her antics on BET’s ComicView back in 90’s. So, she’s seasoned, and she definitely understands funny. She also took part in that infamous SNL tryout. But why is she behind the camera instead of in front? I suspect that her height and age might have something to do with it. She stands 6 feet tall, and her Facebook page puts her age at 46, not exactly in the target SNL demographic. But more than all that, I think Leslie Jones was just too much for the show to handle on screen. She is loud, brash, and curse words and n-words roll off of her tongue a bit too easily. Then I viewed some videos … and they left much to be desired. When I watched the clip below of her performing stand-up, I didn’t even crack a smile. Guess that means she’ll fit right in with the rest of the cast and staff. I know stand-up comedy is hard, and I don’t profess to be any better at it than she is. But if this is what you post on your own YouTube channel as an example of your comedy skills, you are just like those people that show up to the American Idol tryouts just knowing they sound like Whitney. Except people laugh at those auditioners not with them. So what does this all REALLY mean for SNL? Honestly, no one can be sure. Leslie Jones has a voice that really comes from an “urban” place, and with how the show is currently structured, I’m not sure how that fits in. On the other hand, LaKendra Tookes seems a bit more bourgie. I get the feeling that she is just like most of the other SNL writers, just in black. Maybe coming from a country background (that she clearly is still dealing with issues from) will help her to bridge the divide? Maybe she’ll soften up Leslie’s point-of-view to make it more palatable to white audiences. Either way, all eyes will be on the upcoming returning episode to see if these recent hires do anything to shift the face and voice of SNL even the slightest bit.